Hello, my name is Kiara Rochaix. I am a Year 10 student at Oxley College in the Southern Highlands. I have recently been selected in the U19 All School Australian Girls football team, to tour the UK next January. This has been a huge achievement for me after many years of hard work and dedication. It will be a once in a lifetime experience. To represent my country has been a dream of mine for as long as I can remember and it will be a huge honour. The cost of the trip is $7 000 and I have set up this page to try and gain some help. I am apart of a large family, and they already do so much for me so I would like to help them with the cost, by doing my own fundraising and giving back to the community. As well as setting up this page I am looking to get a job and do some local football clinics for kids in the local area. These clinics will be held at Oxley College on the 8th and 9th of October for U8s and U12s. I will post more details shortly. 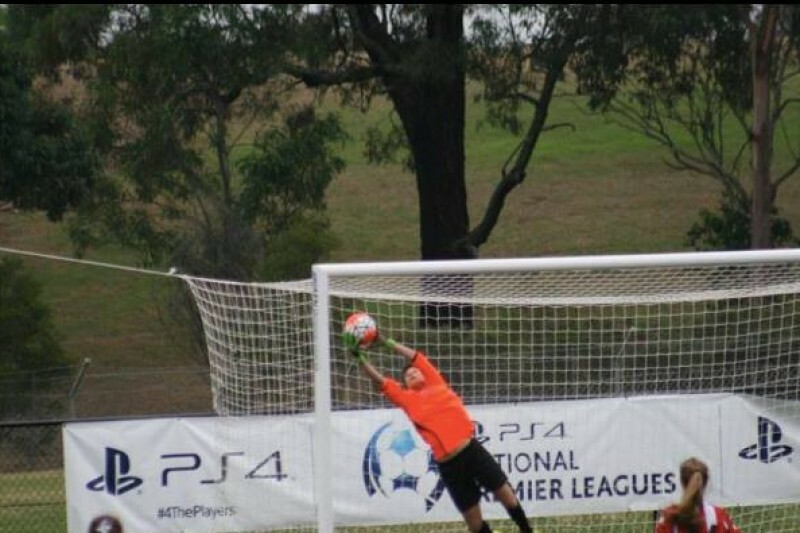 I am a goalkeeper currently playing in the Woman's National Premier League for the U17 Macarthur Rams. I have been playing football since I was 7, starting at Bowral United. I then worked my way up to a representative team down in Nowra, Southern Branch. I played there from U12s to U15s, and every season I was travelling down twice a week for training. This season I wanted to take my football further so I moved to the Macarthur Rams, doing training three times a week. I have worked very hard for the past six years, and with the help of my family, coaches and teammates I have been able to get to where I am now. I have represented my state three times across different age groups, and this would help me take the next step. If anyone is able to help me get to my goal, I would be extremely appreciative. The team will tour the UK for three weeks playing national school teams from England, Ireland, Northern Ireland, Scotland, and Wales as well as some of their best youth development teams. Throughout this tour there will be scouts from different universities as well as from some of the best football teams in the country, including those you play in the FA Woman's Super League. After school my aim is to study in the UK and play football at a professional level over there. This is one of the best chances I have to get there. So any help would be greatly appreciated. Thank you. Hi kiara I will put up $100 for every $1000 you raise. ie you raise $5000 i put $500 To every fb friend i have get on board and follow this talented young lady who is representing our country. Her efforts determination and hard work have got this amazingly talented young lady places she has dreamed of. Good luck miss k.
Wishing you every success and happiness Kiara - you have worked hard for this.